We often turn on our TVs and browse through the channels without realizing just how complex the whole process is. 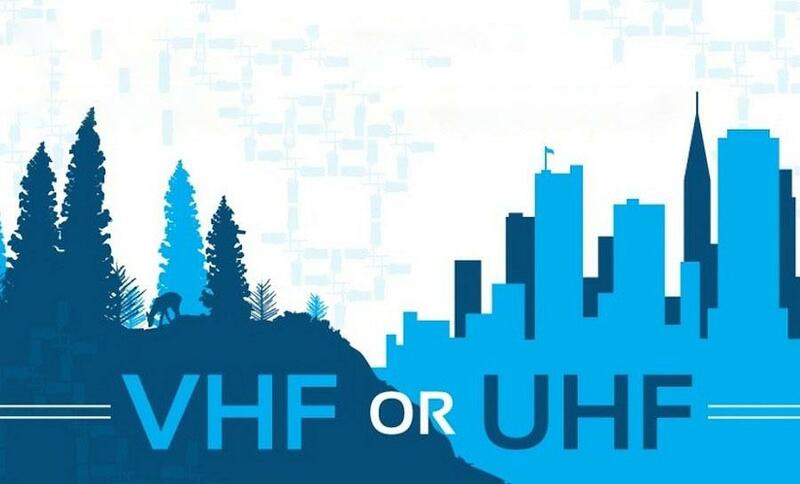 One area that can be confusing when deciding which channel to watch is the debate between UHF vs VHF TV and what each of these frequencies really means. In a time before we had digital broadcast television, all local broadcasts were done in either VHF, meaning Very High Frequency, or UHF meaning Ultra High Frequency. Today, things are done a little differently but the difference between UHF vs VHF tv is still an important one to know. When you’re trying to buy a new TV or investing in an antenna to make your viewing experience better, understanding what each of these is about and how they compare to each other is essential. With some knowhow you can be sure you’re choosing the right product and understanding the characteristics of each, so you can get the optimal setup for your home TV viewing. UHF television refers to the use of ultra high frequency radio to broadcast to your television set. This type of frequency can be used for both digital and analog broadcasts, and the VHF frequency band runs from 50 MHz to 225 MHz. When looking at your TV and the channels, the UHF channels will usually be numbered higher. In the US, these are placed around 14 to 83, so they’re easier to spot. A UHF wavelength is also shorter than their VHF counterparts which means their broadcast elements are shorter as well. Connecting to these channels requires a specific UHF antenna that allows it to get the right amount of amplification. Because the UHF signal has a shorter wavelength of around 28 inches, the signals can actually pass through obstructions better to give a clearer picture. Very high frequency is the type of radio frequency electromagnetic waves that range from 30 to 300 MHz. 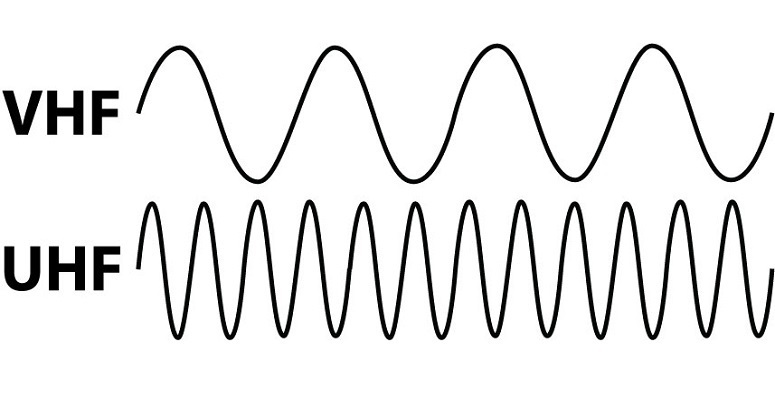 anything lower than this is usually known as high frequency, and all those above it are referred to as UHF. When looking for VHF channels on your TV, these are usually numbered from 2 to 13. These days, UHF is more common for a television connection and most broadcasters will use this or digital signals. UHF is more commonly used for marine-band radio and FM radio, so it’s no longer really ideal for getting a quality picture. A VHF antenna is usually a lot longer than a UHF and this is due to the signal’s wavelengths being very long as well. When compared to a UHF though, they’re usually more efficient at inducing the current so a smaller rod might only be required on an antenna. In the early days of TV and radio, VHF was more common because the current band reception capabilities of UHF were still lacking. Another reason why VHF remained popular for so long was due to the aforementioned efficiency when inducing a current which meant they were less likely to suffer from interference. VHF is the superior choice for signal today, as the technology has improved its capabilities and antennas made for this purpose have also evolved. Most direct to air channels have both a VHF and digital allocation so that people with different TVs and setups are able to access whichever one they need. Before most broadcast channels made the switch over the UHF, it was common for smaller broadcasters to stay on the old signal because they were cheaper to operate on and generally had a better signal. These days, most over the air broadcasts are found on UHF, and it’s rare to see any that are shown on VHF, as many of the channels have been retired to radio. 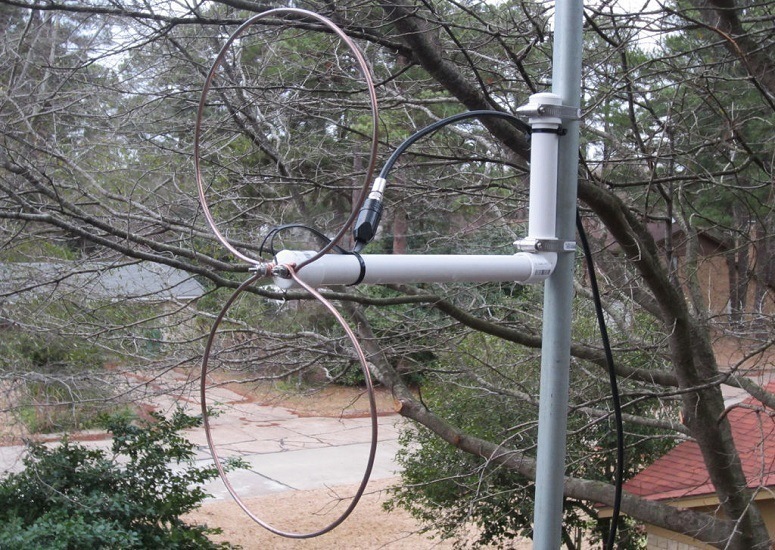 What Type Of Antenna Do You Need? The confusion about UHF vs VHF channels all comes down to your antenna, and most modern styles these days will be built for UHF mostly. Having a UHF antenna will give you access to broadcast television and if you’re using it with a digital ready TV, you’ll have no problem getting most of the channels that are available. However, to give yourself the biggest range possible, you can choose an antenna that can reach both UHF and VHF channels, as well as the higher definition digital options. This ensures you get the best quality and biggest range available, which is especially attractive if you’re one of the millions of Americans who have recently decided to cut the cable cord. Choosing the right antenna is just as important as choosing your TV, but it’s something that most people disregard. With the right device securing your signals, you’ll not only get a high definition resolution but also access to more channels than you’ve ever had before, depending on where you’re located. 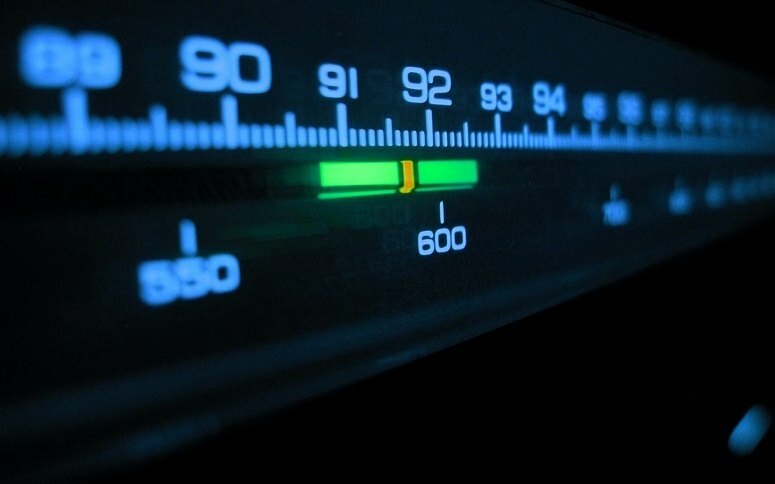 As the years go on, there’s no doubt that all VHF broadcasts will eventually be retired. As VHF and digital TV becomes the standard, people will prefer the higher quality and efficiency of these channels, and the Very High Frequency stations will no longer be required. It might seem confusing to learn about the different frequencies that your TV picks up signals in, but understanding this small part of how broadcasting works will put you in a far better position as a consumer. You’ll know which antenna to choose, which TV system works best, and how getting a clear signal at home for your TV can have a huge effect on the viewing experience. 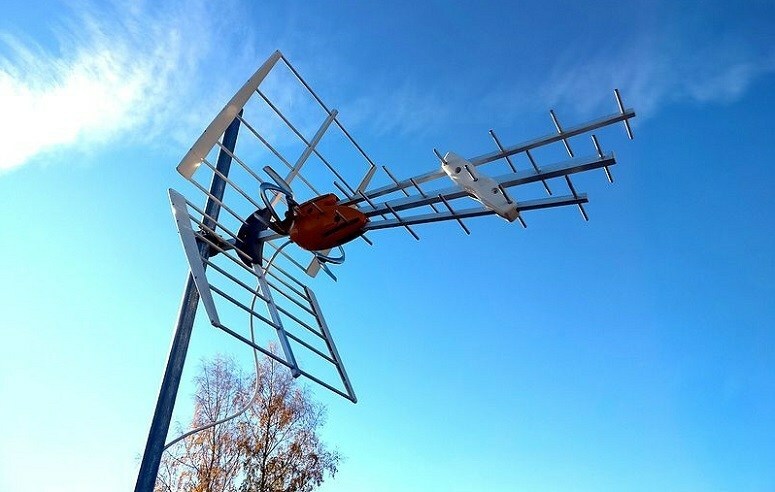 The best approach for those who don’t want to miss a thing is to invest in a quality antenna that’s capable of UHF, VHF, and digital channels. With one of these at work, you’ll never have to worry about missing a thing and enjoy the peace of mind that you’re watching TV in the very best resolution possible.